HW Martin Waste Ltd (HWM) has continued its long tradition of providing high quality, cost-effective recycling services to the public sector with its latest contract award. In February 2018 HWM began delivering a 10-year contract for Milton Keynes Council to manage and operate the council’s Community Recycling Centres (CRCs). The three CRCs, at Newport Pagnell, New Bradwell and Bleak Hall, are used by thousands of Milton Keynes residents every month. The sites provide an opportunity for residents to recycle a whole host of materials including wood, metals, plastics, garden waste, cardboard, textiles and lots more besides. HWM will also collect unwanted items from the public that are re-useable. HWM must meet stringent Council targets for re-use, recycling and diversion from landfill – targets that are set to increase over time. In addition and in partnership with Milton Keynes Council, HWM will be introducing new measures to restrict the use of the sites by traders, and by residents living outside the Council area – both of which are prohibited. A disproportionate amount of material brought by traders and non-residents is non-recyclable waste and has a significant disposal cost. This adds an extra burden on the Council’s budget and is unfair to local council tax payers. Traders wishing to bring their waste can do so at the trade waste facility at the Newport Pagnell site. Material is weighed and traders are charged according to the type of material. HWM is giving the opportunity for traders to reduce their costs for those willing to separate loads as much as they can (e.g. separating garden waste from general waste). Measures to be brought in at the CRCs include a restriction on larger, commercial-type vehicles at Bleak Hall CRC and the introduction of automatic number plate recognition (ANPR) across all sites. HWM has experience of introducing these measures in other parts of the country and users will see positive changes as a result. 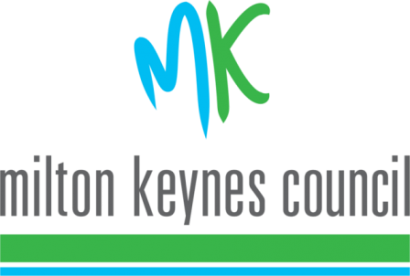 A focus of the new contract is ensuring that residents of Milton Keynes are prioritised. HWM will ensure the CRCs are efficient and pleasant places for local residents to use. HWM’s on-site Recycling Advisors will assist members of the public and make sure their visit is safe, quick and efficient. The Recycling Advisors are also there to answer any questions and provide information on the work HWM does in waste minimisation and recycling. The new contract means the partnership between HWM and Milton Keynes Council will run to 2028. With a new Head of Environment and Waste at the Council and HWM’s programme of continuous improvement, the partnership is ready for the challenges in the coming years from an increase in population and a growth in housing, leading to an increase in the volumes of waste materials that need to be managed.